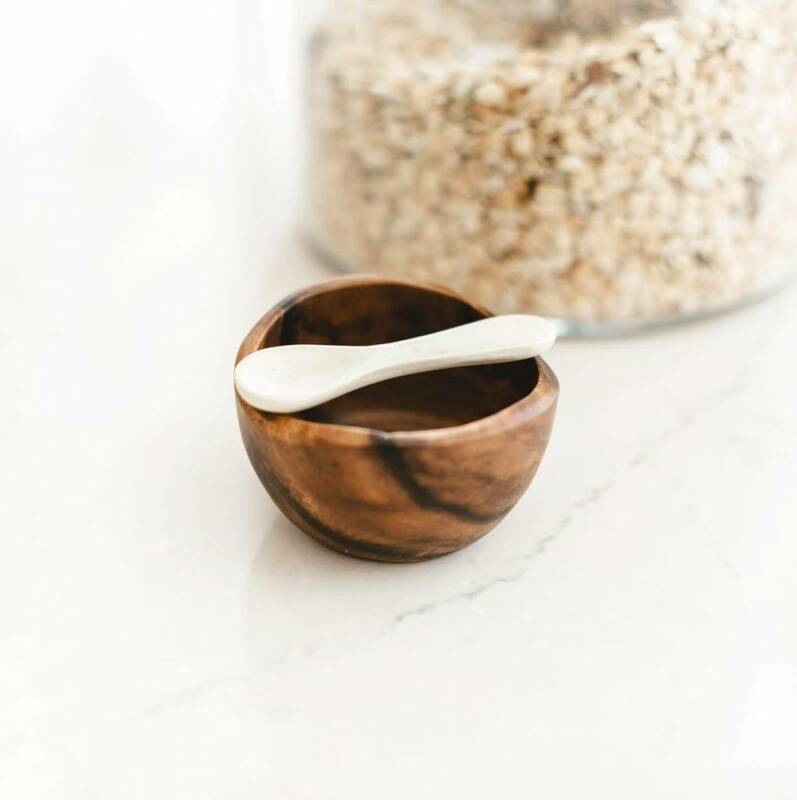 Hand-carved in the Philippines from sustainably harvested acacia wood and treated with certified food safe finish. Measures 3" diameter x 1.75" high. Soapstone spoon is hand carved in Kenya from naturally colored stone and measures approximately 3 inches. Recommended hand-wash only.